Probably the world’s most innovative coconut grinder ever. This product will eventually be printed in any design imaginable for any customer or niche market. ikamyu – the newest product for the Gerard Aflague Collection – is the most innovative, unique, and modern coconut grinder and art deco piece ever designed. Coconut grinders are a traditional kitchen-aid for many islanders and them some. It is a valuable tool to assist to grate or grind fresh coconut shavings from adult coconuts for many island-styled desserts, as well as for many soups, and other traditional island-cuisine. While efforts are now being made to patent ikamyu – we expect to make it available for online purchase sometime in July, and then we will begin shipping this product across the world, including to all zip codes in the United States, including all territories, and to U.S. bases worldwide. Because our first production batch is limited, we plan to begin accepting pre-orders starting around July 7th or so, to allow folks to reserve their very own ikamyu. Prices will be announced on our website at the time that we begin accepting pre-orders. 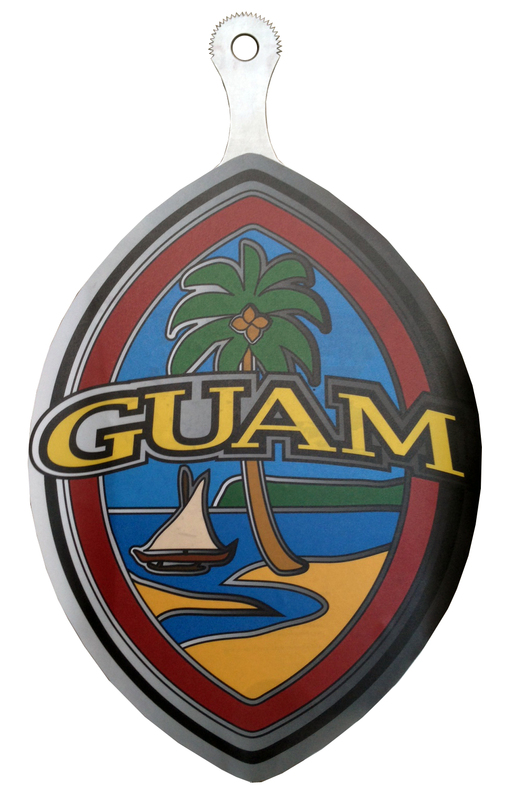 I kamyu means “the grinder” in the language of the Chamorro people of Guam and the Northern Mariana Islands. ikamyu is the brainchild of Gerard Aflague who will be marketing this product exclusively on GerardAflagueCollection.Com. While many Pacific Islanders own their very own traditional wooden or multi-part constructed coconut grinder – we feel that our new state-of-the-art product will peak the interest of many would-be customers, simply because of the many features that rival the traditional coconut grinder. Many hours of thought went into redesigning a traditional coconut grinder, and hours of prototyping and testing went into developing it into a product that is in fact truly a proud invention that is nothing less than genius. We are very excited about this product and know that many of you are looking forward to owning your ikamyu. To contact us about this product, please email us at sales@gerardaflaguecollection.com.